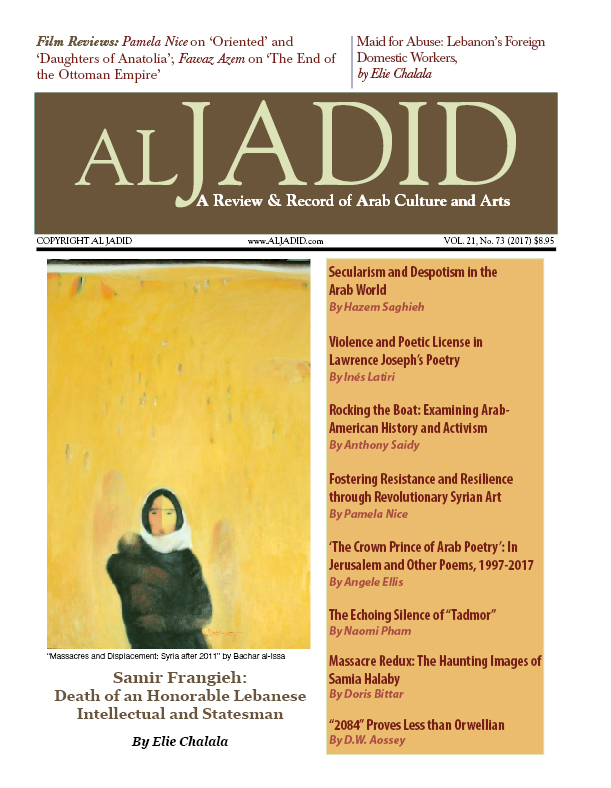 As for modern Arabic literature, prose narrative has seldom made use of utopian or dystopian stories for social and political criticism, opting instead for other literary devices like realism, symbolism and surrealism. So far, Arabic research has mainly focused either on Western classic utopias like the works of Thomas More, Tommaso Campanella and Samuel Butler, or on 20th century Western dystopian fiction. In the Arabic literary research field, experts have yet to agree on the proper Modern Standard Arabic terminology to discuss dystopian narrative. This has resulted in different designations, for example adab al-madina al-fasida (literature of the corrupted city), as opposed to adab al-madina al-fadila (literature of the virtuous city), naqid al-yutubia (the antithesis of utopia) and alam al-waqi al-marir (the world of the bitter reality), together with al-yutubia al-didd (the opposite of utopia), al-mudun al-tahdhiriyya (the cities of warning) and – last but not least – the English word transliterated into distubia. In these first two decades of the 21st century however, the Arabic literary scene has witnessed a new trend in fiction in the form of dystopian narrative. 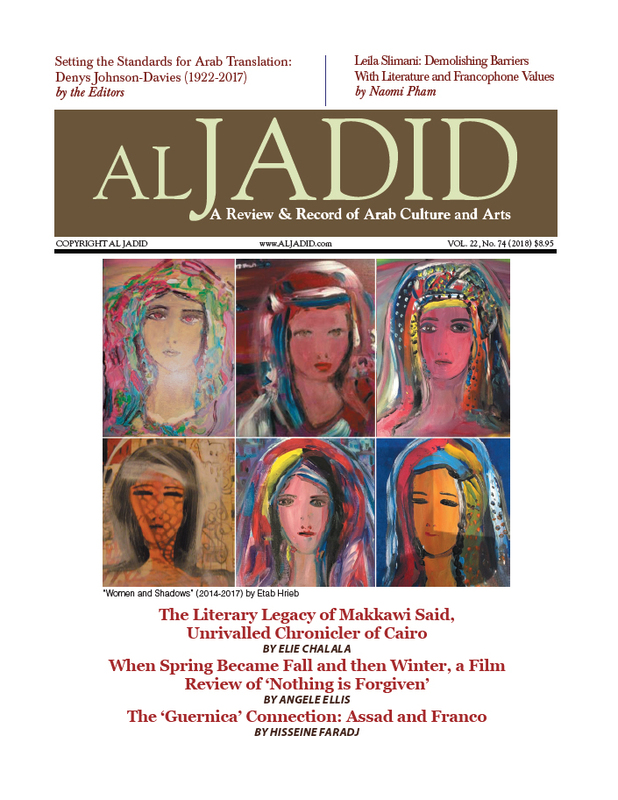 Several Arab authors have written and published – not exclusively in the Arab world – novels and short stories that have been defined as the start of a new literary genre in modern Arabic literature. Featured in newspapers, magazines, blogs and on the Web, their works have been brought to the attention of the Western reading public. Whether this constitutes something completely new remains a debatable issue. In his “Dystopia: A Natural History,” Gregory Claeys argues that both utopias and dystopias are forms of social criticism. In fact, utopias imply a fault with the present and point to a better alternative, while dystopias show what could happen if utopias go wrong. During the 1970s and the 1980s Arab authors already created visions of utopias – or rather, failed utopias. Nobel Prize winner Naguib Mahfouz wrote one of the more famous tales in 1983, “The Journey of Ibn Fattouma,” which Denys Johnson-Davies translated and published in English in 1992. In addition, other Arab writers produced some interesting utopian prose, but, lacking translations, their works remain less known in the West. Most of these novels present alternative societies, founded in disparate settings that supposedly offer opportunities for better lives, settings such as the desert, the bottom of the sea or in space. These stories often employ sci-fi features like space ships or technological devices which enable mankind to live in otherwise impossible environments. For this reason, these failed utopias fall under the classification of Arabic science fiction. These include “Sukan al-Alam al-Thani” (The Inhabitants of the Second World) by Nihad Sharif, “Al-Tufan al-Azraq” (The Blue Flood) by Ahmad Abd al-Salam al-Baqqali, “Hurub ila al-Fada” (Escape into Space) by Hasin Qadri, and Sabri Musa’s novel “Al-Sayyid min Haql al-Sabanakh” (The Man from the Spinach Field). Sabri Musa’s work first appeared as a serial novel in the magazine Sabah al Khayr in 1981 and can be considered the precursor to an Arabic dystopian genre because, reminiscent of Huxley’s “Brave New World,” it offers criticism on the dehumanizing effect of technology on the individual. Set in a far-off future on a distant planet, the story attributes the prosperity of the populace to a totally automated “System” that regulates work and all human activities. The main character cannot come to terms with the System and asks for permission to go back to Earth on a quest for mankind’s past. After his failed mission, however, he finds himself banned from returning to his planet. Since the beginning of the 21st century, many of the dozen or so published Arabic dystopian works have been written in English or French rather than Arabic. Moreover, most of the pieces authored in Arabic have quite quickly been translated into English, an unusual occurrence for Arabic fiction. This hints at an interest and a wish, on the part of the authors and publishers, for a presence in the Anglophone market, possibly because of the longer and more extensive tradition of dystopian narrative in the Western literary scene. But what of the subject matter of these 21st century Arabic dystopias? Do they just represent an Arabic adaptation of the Western dystopian classics or has dystopian Arabic fiction pursued a different path? Selected samples of the most recent Arabic dystopian fiction available in English, spanning the Arab world from Algeria in the West through Egypt and to Iraq in the East, can provide answers to these questions. One such sample selection includes two novels and a collection of short stories. Algerian Boualem Sansal wrote the first novel, “2084 La fin du monde,” in French, and published it in France in 2015. After that, Alison Anderson translated it into English and published it in 2017 with the title “2084 The End of the World.” The story is set in the country of Abistan, a fundamentalist and bureaucratic theocracy, in some indefinite future after the year 2084. Here the Just Brotherhood exercises absolute power and God, named Yölah, has appointed Abi as his Delegate, the recorder of the divine teachings in the Gkabul, the holy book, and the inventor of abilang, Abistan’s sacred, official and only legal language. The work features unmistakable references not only to Orwell’s “Nineteen Eighty-Four,” but also to Islam. Ati, the main character, who suffers from tuberculosis, returns home after a period spent in a sanatorium and quickly becomes reintegrated into the system, but is troubled by forbidden thoughts about rebellion, disbelief and words he does not really understand like “freedom” and “border.” Accompanied by a friend, he journeys to Abigov, the heart of Abi’s government, seeking the truth about the discovery of an unknown religious shrine. In Abigov, he meets Toz, the brother of one of the members of the theocratic oligarchy. After a series of incidents and misfortunes, Toz reveals to Ati the inner secrets of Abistan, of the Just Brotherhood and of its internal struggles for political power and financial control. In the end, aware of the lies that comprise the foundation of Abistan, Ati asks for permission to leave and search for the Border and whatever might exist outside the country’s jurisdiction. In Arabic, Egyptian author Basma Abd al-Aziz published the second novel, “Al-Tabur,” in 2013. Elisabeth Jaquette translated it into English for publication in 2016 as “The Queue.” Al-Aziz sets the novel in a non-specified big city sometime after the so-called Disgraceful Events, a failed civil protest against a governmental bureaucratic authority called the Gate. The Gate exercises absolute jurisdiction over the populace, regulating their lives through the expediency of paperwork, issuing permits, granting authorizations, and validating citizenships. Since the Disgraceful Events, however, the Gate has remained closed and an endless queue has formed in front of it, with people waiting in line for days and even months. The stories of several side characters’ cross that of the main character, Yahya, who suffered a gunshot wound when he happened to pass by while governmental forces attempted to suppress the Disgraceful Event’s riots. However, the government denies any gunfire occurred during the event, and has redacted medical records to manipulate information about the suppression of the riots, issuing new laws and decrees, and employing all means available to influence, monitor, control what people do, say and think. Despite his wound becoming worse and worse, Yahya must obtain a certificate attesting his True Citizenship in order to be allowed to apply for surgery. This means that the injured man must petition the Gate and then wait in the seemingly endless queue for his paperwork. The anthology “Iraq +100: Stories from a Century after the Invasion,” edited by Hassam Blasim and published in 2016, gathers 10 short stories written by Iraqi authors, who, at the request of the editor, imagined how Iraq would look like in the year 2103. While some merely set their stories in an imaginary future, employing science fiction traits to various degrees, two writers present clear dystopian features in their tales. Anoud wrote “Kahramana” in English, setting it in a future where Western forces attack the Islamic Empire with sterility weapons. His main character, a beautiful girl promised in marriage to the head of the Islamic Empire, happens to accidentally witness the Mullah’s secret homosexual preferences on the eve of her wedding. Stabbing him in self-defense, she flees to the Western-controlled confining state, where she applies for asylum. However, after a brief period of media fame, the state denies her the permit and deports her back to the Islamic Empire. Khalid Kaki wrote “Amaliyyat Danial” in Arabic, which Adam Talib then translated into English and published with the title “Operation Daniel.” Operation Daniel refers to a raid executed by droids under the rule of the Venerable Benefactor Gao-Dong, a Chinese dictator governing the Kirkuk district. Gao-Dong initiates these raids in order to recover and destroy discs and tapes of songs recorded in the old, now forbidden tongues such as Arabic, Syriac, Kurdish or Turkmen. The persons found in possession of such material are eventually ‘archived,’ a euphemism to indicate the incineration and transformation of offenders into artificial diamonds, meant to adorn the Benefactor’s outfits. The protagonist, Rashid, ends up decorating a pair of boots. This selection of four narrative works points to a basic difference between contemporary Western dystopias and Arabic dystopian fiction. Since the end of WWII, modern Western dystopian fiction has increasingly described liberal societies and plutocracies, boasting global corporate philosophies and financial institutions that, according to Gregory Claeys, lead to a host of disastrous consequences for society and for mankind, consequences such as crime, disease, hunger and global warming. But the societies of these four Arabic dystopian stories more closely resemble the classic Western literary dystopian totalitarian states, constantly overseeing the individual and manipulating historical records and other forms of information in order to secure and retain absolute political power. However, while the classic Western dystopic dictatorships implemented total surveillance in the name of a left-wing or right-wing political “greater good,” the rulers of these Arabic dystopias pursue their own self-interests, controlling the populace for their sole personal benefits. Specifically, these totalitarian states function as either fundamentalist theocracies or secular dictatorships or oligarchies, without any mention of political creeds. This places the focus on the individual’s freedom, or rather the lack or loss of it. Here, instead of a specific political doctrine restricting individual rights, religion and bureaucracy function as the two main factors precluding personal freedom. Thus, the ruling powers achieve their surveillance and control through a plethora of religious duties, observances and ceremonies, together, or alternatively with tortuous bureaucratic procedures, obligations and required paperwork. In addition, Gregory Claeys references the nuclear age, environmental issues, mass poverty and terrorism as central themes of Western modern dystopias, while Arabic dystopias employ these topics not as main themes, but only as background settings. Instead, they focus on individual cultural heritage, such as history, literature, and language, as the means of highlighting the importance of freedom and the quest for the truth. 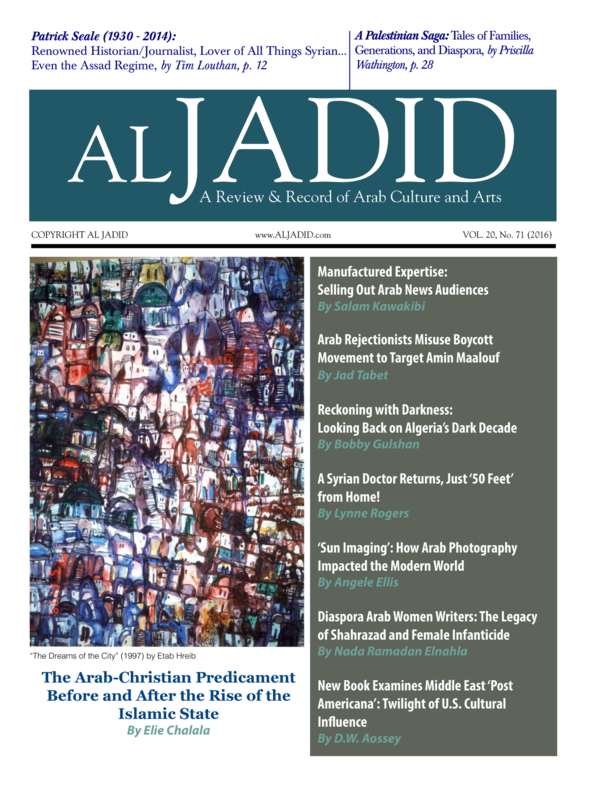 While scientific development and technological discoveries play overpowering and dehumanizing roles in modern Western dystopian fiction, technology serves a merely instrumental function in this selected sample of Arabic dystopias, solely providing the ruling powers with devices and automated machinery for surveillance and control. A third difference concerns the different ways in which Western versus Arabic dystopic stories end. 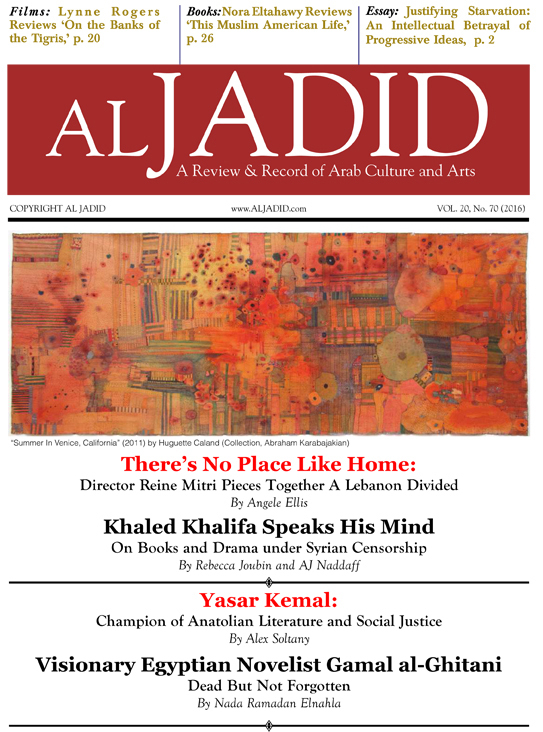 Arabic dystopias generally do not show any tendency to create either happy endings or post-apocalyptic despair – two trends that Claeys identifies in modern Western dystopias. On the contrary, Arabic characters seem to adapt to their dystopian environments, whether they be post-nuclear, fundamentalist or sometimes subtly dictatorial. As a consequence, these characters appear more victims than heroes, individuals either powerless or lacking the intention needed to change their worlds. 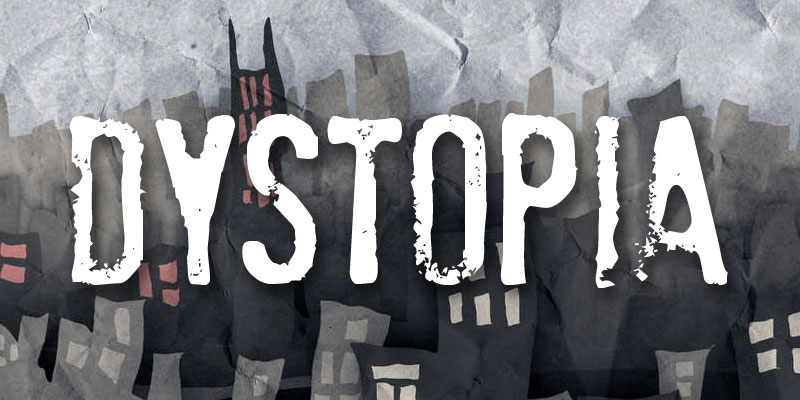 This thematic overview derived from a sample selection of Arabic dystopian fiction clearly illustrates the need for more research focusing on dystopian trends in modern Arabic literature. This proves especially true when considering the authors’ own personalities, views and experiences, and how they may exercise decisive impacts on the origins and the outcomes of their stories. The diversity in social and political backgrounds of the Arab countries also proves significant. 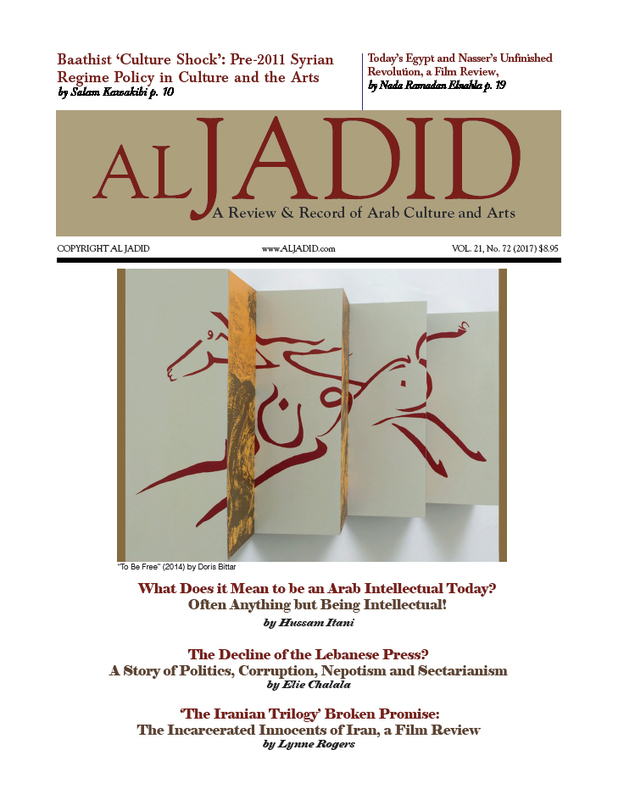 With the media defining as dystopic Ibrahim Nasrallah’s “Dog War II,” winner of the 2018 International Prize for Arabic Fiction, the interest of the reading public, both Arabic and Western, has grown significantly, doubtlessly stimulating some interest by Arabic literary critics in a near future. 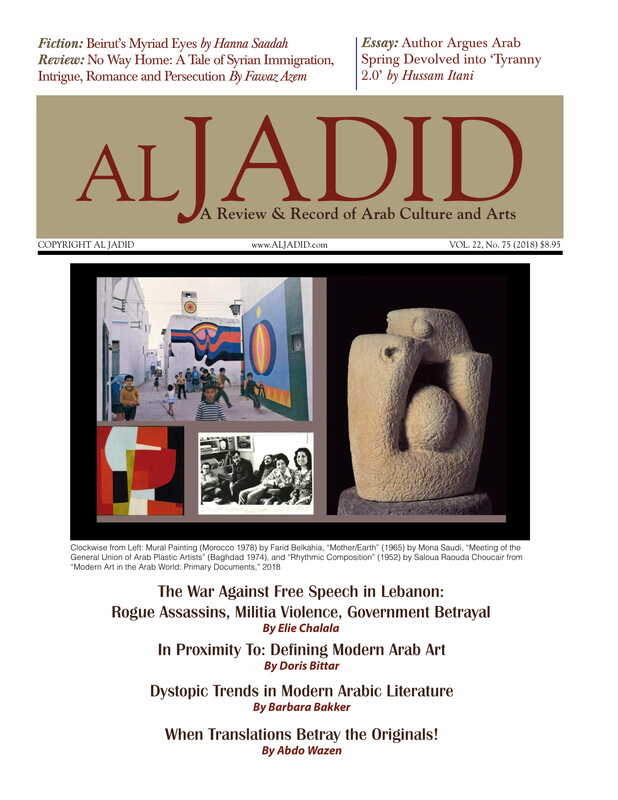 This essay appeared in Al Jadid, Vol. 22, No. 75, 2018.